Punjabi Music is gaining popularity everywhere, now it’s not limited to just Punjabi audience. It’s growing all over India and abroad – be it UK, Canada, New Zealand, Australia or any other part of the world it’s everywhere. A number of artists Punjabi music has witnessed is huge and it has given a new direction to the Independent music scene. We love Punjabi music and if you’ve started having a taste for Punjabi music. Here we are with 20 contemporary Punjabi songs to start with. 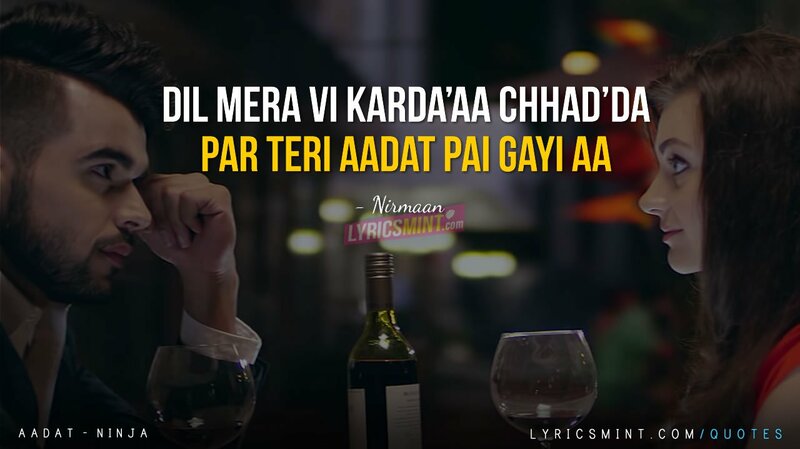 We’ve prepared a list of 20 Latest Punjabi songs with some amazing lyrical lines/quotes from that particular song. This list of songs is not based on any specific criteria. These are the top 20 songs of contemporary Punjabi music that we think you MUST LISTEN! 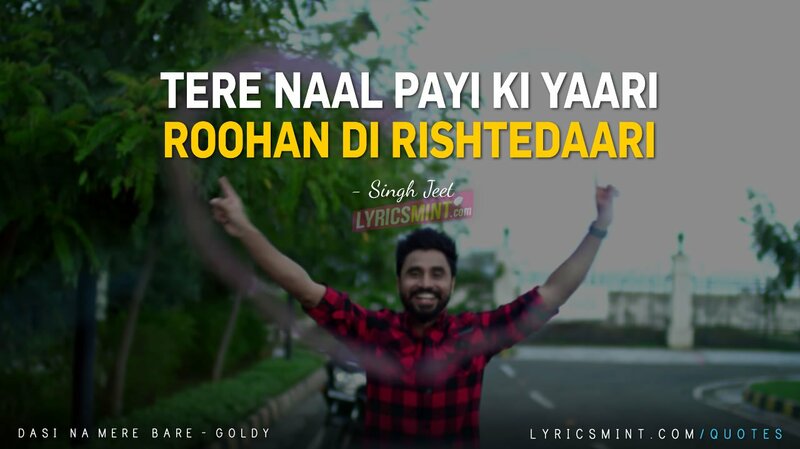 This post contains 20 Best Punjabi Quotes, Emotional Punjabi Songs, Heartbreak Punjabi songs, Punjabi Lyrics Quotes, Punjabi Love Quotes, Punjabi Love Songs, Most Famous Punjabi Songs, Jaani Lyrics Quotes, Happy Raikoti Lyrics Quotes, Top 10 Latest Punjabi Songs, Top 20 Punjabi Songs. Missing someone? this song is your companion. The song will bring more love in heart for someone special. 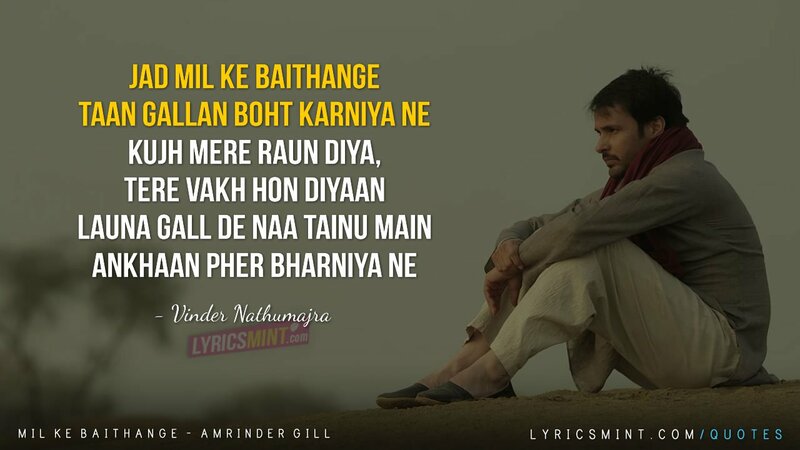 Beautifully written by Vinder Nathumarja and sung by Amrinder Gill under Jatinder Shah’s direction. Ikk vaari hor soch lae is a beautiful song and has even more beautiful music video directed by Anurag Singh. Another beautiful composition by B Praak written by Jaani and sung by Hardy Sandhu. You’ve lost her, but at least in your dreams, you’re are with her. A Simple Beautiful Song from Channo Kamli Yaar Di. The song has Kumaar’s “simply beautiful” lyrics, Jassi Gill’s heartfelt voice and Jatinder Shah’s low on music, melodious composition. Another beautiful short film directed by Parmish Verma. Shot very simply and in a limited budget and outcome is just beautiful. BRAVO, Parmish! Another awesome music video by Parmish Verma who is doing some really fantastic work in Punjabi industry. 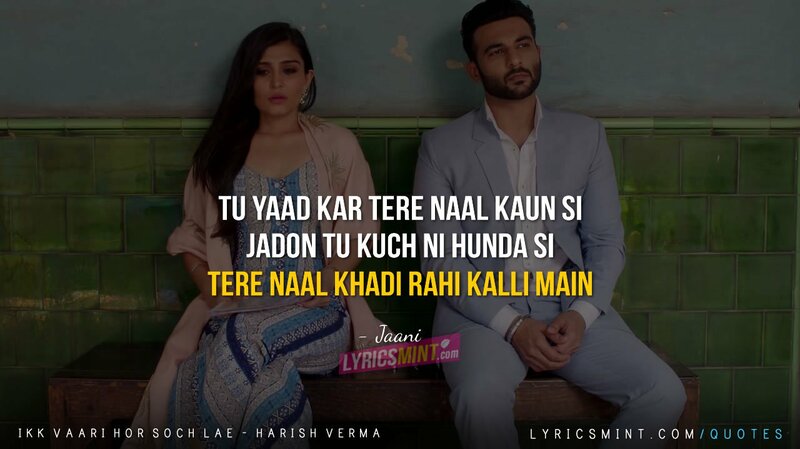 Bittu Cheema’s lyrics are just amazing, please do read them attentively and listen to this awesome track by Mankirt Aulakh. Himashi Khurana’s presence makes it more beautiful. Diljit Dosanjh’s ultra cool take on how to take a Breakup. The Punjabi song is shot on Bollywood scale by Jatt & Juliet director Anurag Singh. 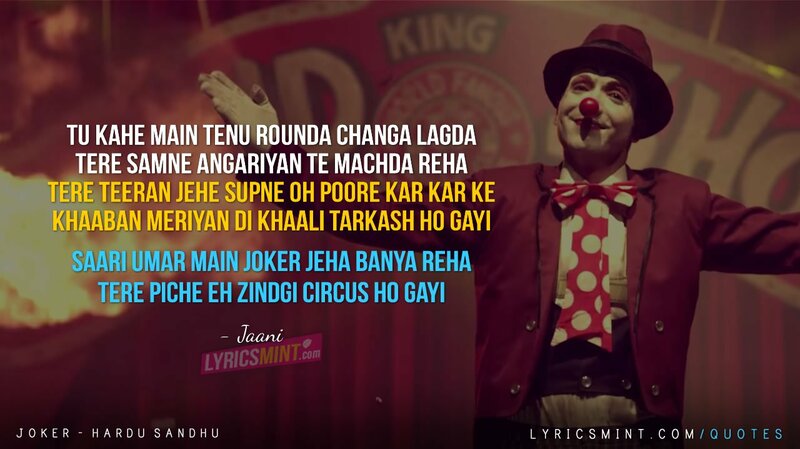 The song is composed by Jatinder Shah and written by Ranbir Singh. Raikoti knows how to be a good man. This song of his from a girl’s perspective is just beautiful. Boys, you need to think over this! 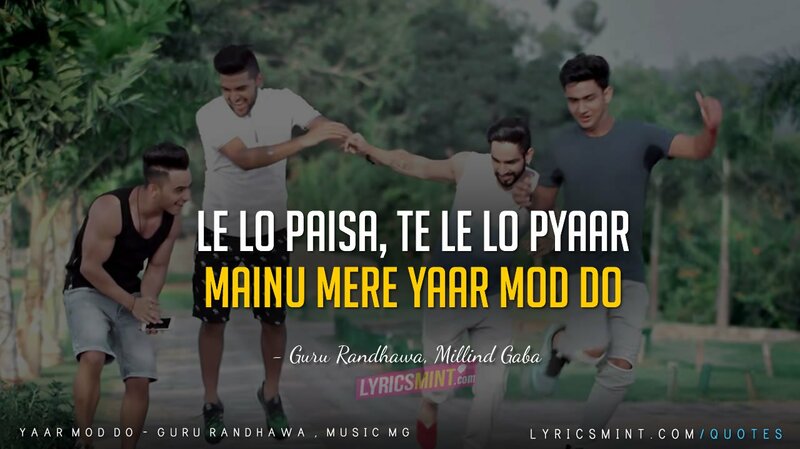 Millind Gaba’s Punjabi Friendship anthem – very well written by the vocalists of the song Guru Ranjdhawa and Millind Gaba. Roshan Prince’ beautiful song Dil Darda. 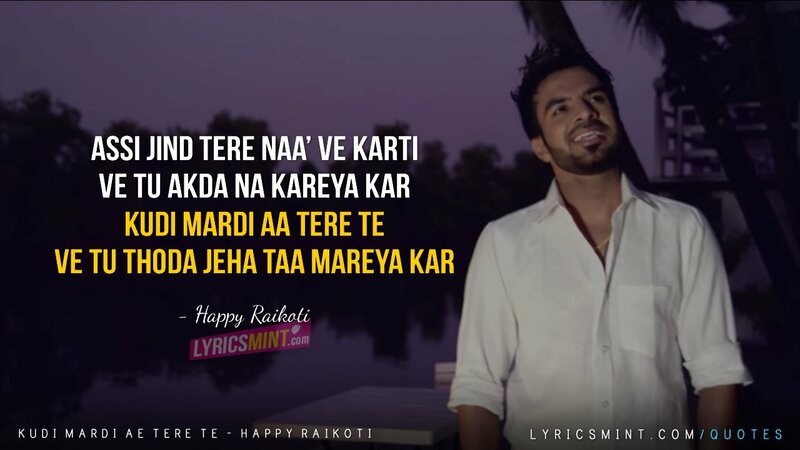 Roshan’s heart touching vocals are the USP of the song and Happy Raikoti’s style of writing is just beautiful. 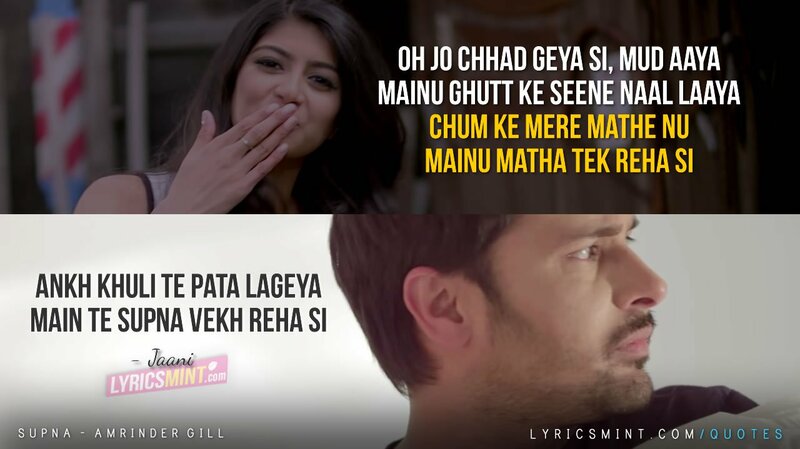 Prabh Gill’s Mere Kol – A song about a man’s disloyalty and carelessness for his girl. The song is nicely penned down by Jaani and composed by B Praak. Aah! what an amazing song, Watch the video and see the magic it does to you. It will make you feel amazingly beautiful and also it will make you believe in old age love. 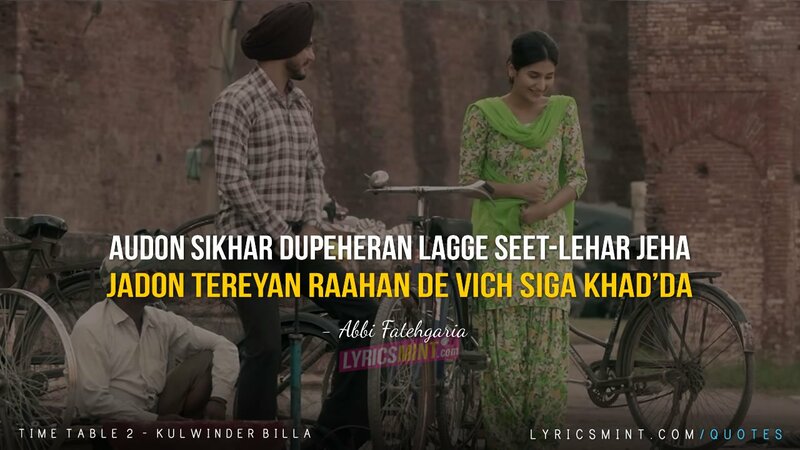 The song is sung by Kulwinder Billa and beautifully written by Abbi Fatehgaria and composed by Laddi Gill, and FRAME SINGH has done an amazing job with its music video. Akhil’s Khaab has such a beautiful rhythm and musicality about it that it touches your heart in just one go. 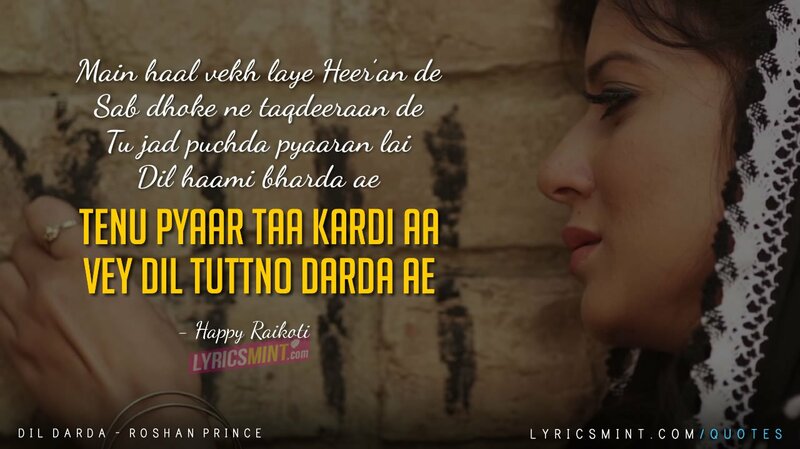 The song is beautifully conceptualized and directed by the universally loved – Parmish Verma. 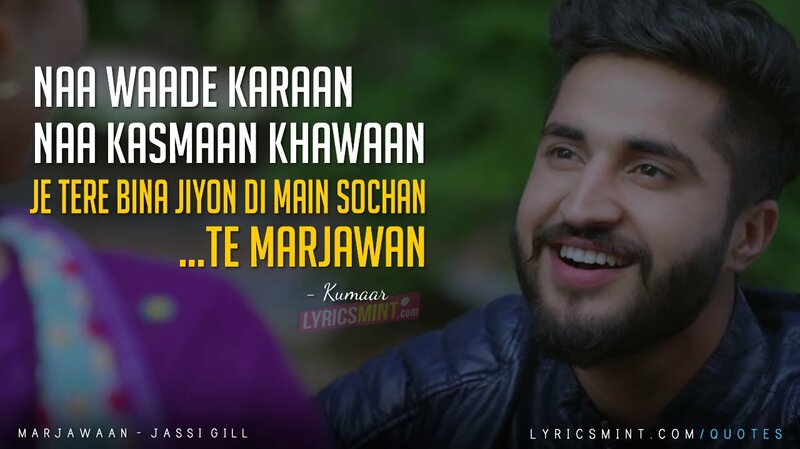 An another Classic of recent times by Jassi Gill. The song is an anthem and piece of heart for many people who have faced breakup and couldn’t get over it. Another Hit song by B Praak + Jaani + Hardy Sandhu. This one is heard by almost everyone as it was recreated for Akshay Kumar starrer AirLift. B Praak is just an amazing composer who brings soul to his songs. He is the one composer who must also be composing the music for Bollywood films. Jaani + B Praak + Hardy Sandhu = SUPER HIT! 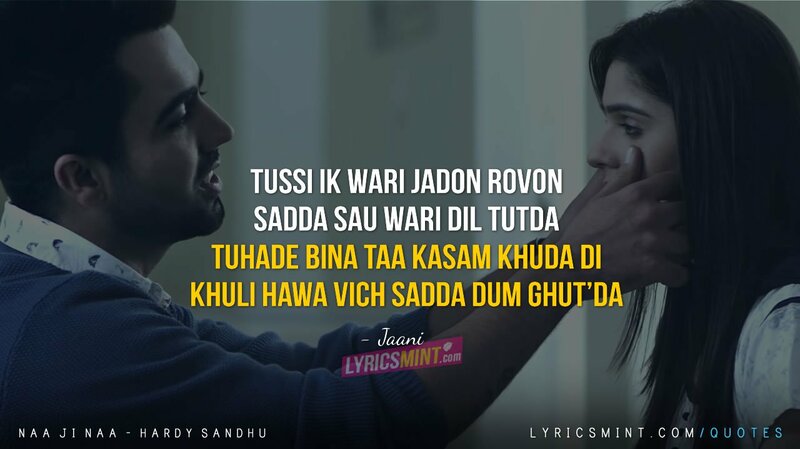 An amazingly beautiful song by Hardy Sandhu, Just Listen and witness the magic. 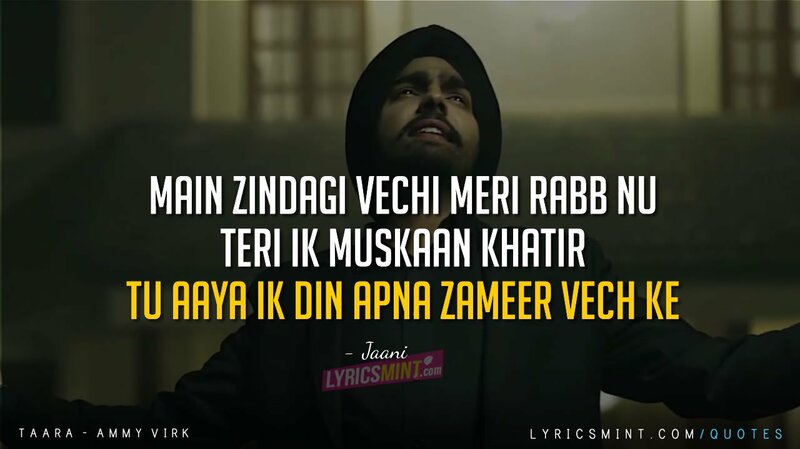 Jaani’s awesome lyrics, Ammy’s powerful vocals, and B Praak’s soulful composition. The song has got everything and Virsa Arts have done an equally good job with the music video. Aadat is kind of a classic of recent times, Beautifully sang by the soulful artist Ninja. The music video for the song directed by Parmish Verma is equally good. The song has music produced by GoldBoy. 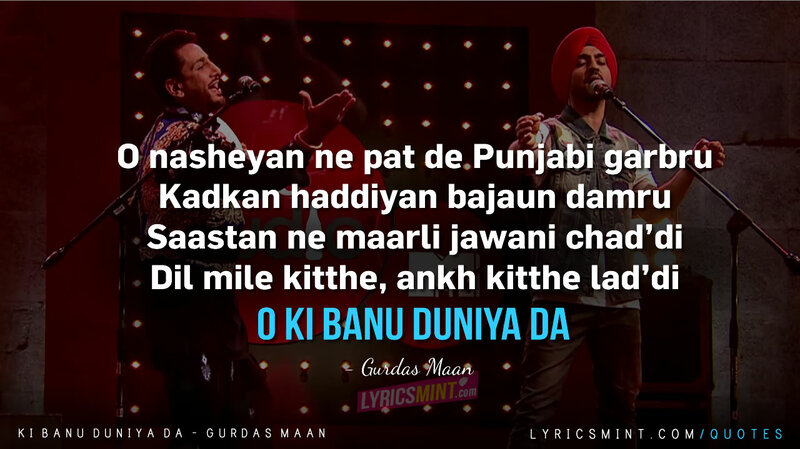 Legendary Gurdas Maan Saab’s Ki Banu Duniya Da is one of the most epic Punjabi songs of our times. It says we are forgetting our roots and adapting to the west. Diljit too has done a great job and gave a kind of homage to the legend by adding his classic song Raavi ton Chenab puchda ki haal ai Satluj da… to it. Oh, what is to become our world? only the God Almighty knows. The song can be the life guru that can teach you so many good things and will make you a better person.